Accepting Online Payments Could Boost Revenue! If you’re in business, you’re about getting paid. If getting paid is what keeps you going, there is no reason in the world to make it difficult for customers to take money out of their pocket and put it into yours. There was a time fairly recently when accepting online payments was a novelty that most businesses didn’t offer and many patrons weren’t comfortable using. Today, if you have a web presence, you have to accept online payments. Whether you sell auto insurance in California, turkey burgers, or your services as a plumber, accepting payments online is absolutely necessary. First and foremost, not accepting online payments makes your business appear amateurish and unprofessional. A professional website with an easy online checkout option is part of what it means to present yourself as a business that has it together. Second, what are your options? If they aren’t physically in your store, that means you have to ask people – in the age of the Internet – to send a check in the mail. It’s primitive, it’s annoying, it’s unnecessary, and most importantly, it’s probably not going to happen. If you make them jump through hoops to pay, they’ll move on to someone who doesn’t. Finally, it’s a nuisance. The way cash-only businesses lose customers who only have plastic and don’t feel like running to an ATM, customers who like shopping online will move to one of your many competitors who give them that option. More importantly, there’s simply no reason for it. Any business with any budget can accept online payments. Merchant services are special accounts that allow business to process credit cards in a few different ways. Providers such as Intuit offer the options of processing credit and debit cards online, in person, or even with a card reader on your smartphone. The card reader, which plugs into your phone’s 1/8-inch jack, should be free and usually comes emblazoned with your logo. 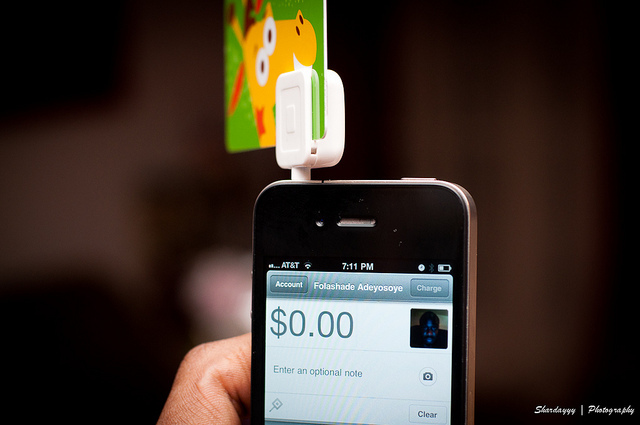 It can be used by different phones so multiple employees can take payments, too. Online payments link directly to your bookkeeping program so transactions can be recorded directly without entering information twice. This dramatically reduces the probability of mistakes, makes tax time much easier, and makes invoicing infinitely more efficient. Connecting your business’s payment application directly to a credit card processing network is expensive, difficult, and requires complicated and sophisticated security structure necessary to ensure safe financial transactions. If you’re a small business, it’s probably beyond your reach. There is, however, an option. Payment gateways such as Authorize.Net and the ubiquitous PayPal provide the structure and apparatus, allowing businesses to send and receive payments and other sensitive information through a secure network that has vetted both vendor and purchaser. This option is convenient and generally affordable, but most importantly, it gives your customers the security they need when typing in those numbers on the front of their credit card. If they don’t trust your website with their bank info, they know they can trust PayPal. Virtual terminals such as the ones provided by TransFirst are great for your customers because they provide a cool and clear interface that allows them to navigate easily and intuitively. Virtual terminals are good on your end because they make it easy to set up recurring payments and deal with ACH and credit cards. They can also link up to “shopping carts,” which give your customers a more recognizable comfortable shopping experience that has come to be expected after being mainstreamed by Amazon. If you’re dealing with transaction in-store or on a point-of-sale system, you can do it with a virtual terminal without hogging a landline. Like online merchant accounts, virtual terminals can link to your accounting software to make full integration of your books and your cash register a reality. eWallets, such as Neteller, are personal accounts that allow your customers to send and receive payments in a variety of ways. eWallets can allow cash-only customers the ability to buy online by offering prepaid cards that can then be used to make purchases, just as they would with a debit or credit card. Virtually all eWallets are perfect for the ever-increasing mobile market by linking to most smartphones and tablets, both Apple and Android. eWallets can also store passwords and other sensitive information, making dealings with your vendors, payroll agents, tax providers, lenders, and employees infinitely easier. Other important data, such as email marketing lists of previous customers, can find their home in an eWallet, making it home base for not just your financial transactions, but for all your business’s information. Accepting online payments is no longer a novelty. Like merchants who don’t accept credit cards in their stores, by not accepting payments online, you’re driving away business, tarnishing your company’s reputation, dragging yourself down by relying on technology from the previous decade, and opening yourself up to costly mistakes by not automating your financial transactions and integrating your payment system into your accounting and bookkeeping software. If you’re in business, you need a web presence. If you have a web presence, you need to accept payments online. The last thing any businessperson wants to do is make it difficult for his or her customers to pay them. Easy, affordable, and available to the common business owner, there is literally no good reason not to let your customer shop online. If you don’t let them, your competitors certainly will.